Micromax the Indian based mobile company launches 10.1" wide screen Funbook Pro Android 4.0 ice cream sandwich tablets powered by 1.2GHz Processor. Funbook Pro having 1GB RAM and 8 GB of internal memory which is expandable up to 32 GB using SD cards. 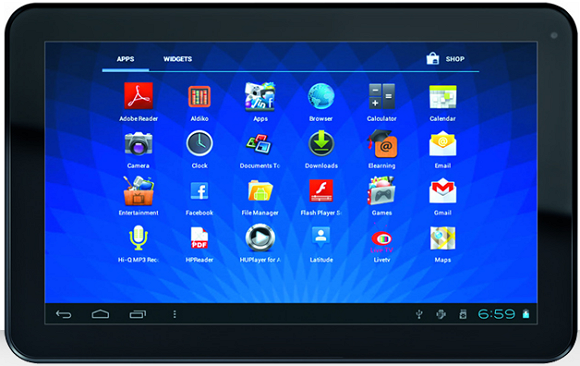 Micromax Funbook Pro available at Rs.9,999. Funbook Pro now available to buy online. If you want to buy a Funbook Pro tablets click here Funbook Pro buy online to go online site. There are three payment methods available including Cash on Delivery. Then select your payment method and give your all valid details book your tablet. device will reach you 15-18 working days. If you buy now you can get special offer of Tata Photon+ for just 500 and get 1GB of data space for first two months. This is time limited offer. But Buy to No Money ! !